The Mustangs Shuttle provides transportation along the Taft Blvd/Maplewood Ave. corridor and Southwest Parkway to Professional Dr./Greenbriar Rd. to students living near campus. The existing Connector and Southeast Routes connect MSU to the Wichita Falls Transfer Station. The Mustangs Shuttle includes service to and from Memorial Stadium for all home MSU football games, starting an hour and a half before kick-off. 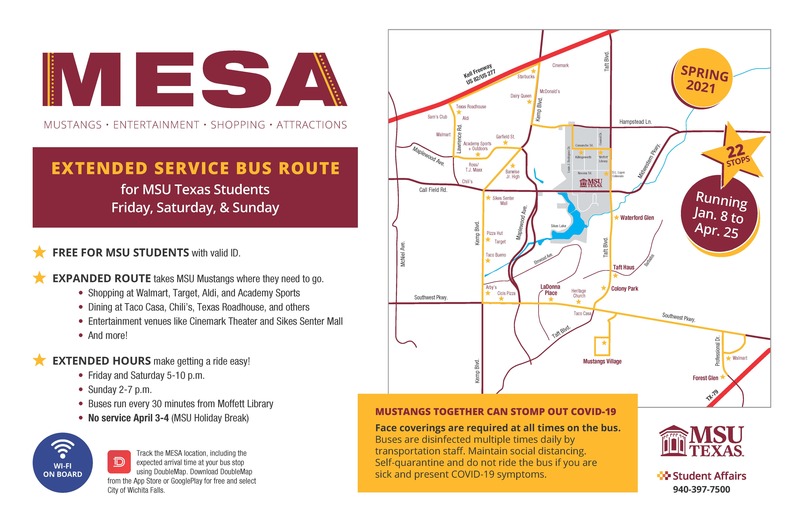 Any city bus routes are FREE for students, faculty, and staff with valid MSU ID. Track the Mustangs Shuttle location, including the expected arrival time at your bus stop using DoubleMap. Download DoubleMap from the App Store or GooglePlay for free and select the City of Wichita Falls. Buses run every 30 minutes from Moffett Library. FREE for MSU students with valid ID. 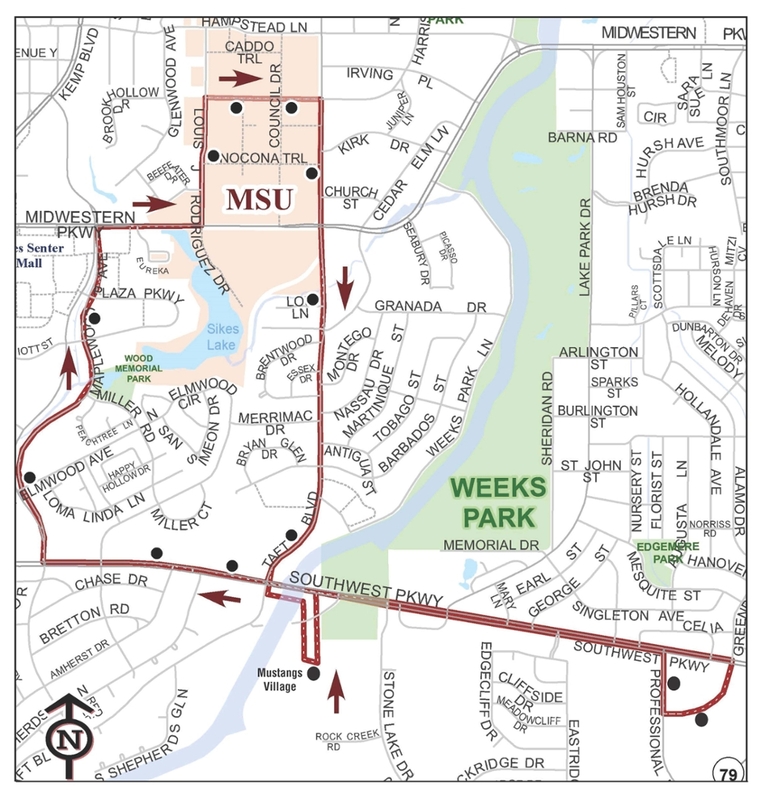 Expanded routes takes MSU Mustangs where they need to go.